Thank you for your interest and reservation of this piece. We will contact you shortly to discuss completion of the transaction, packing and delivery of your artwork. All pieces are made from hallmarked sterling silver some combined with polished ebony. 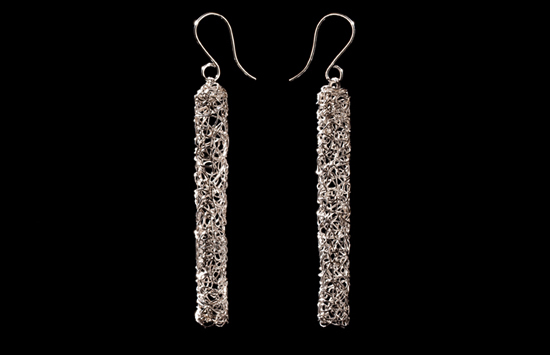 I have used a variety of surface finishes on the silver to enhance the flowing lines. Commissions and new designs can be created for you. Prices are available on request. 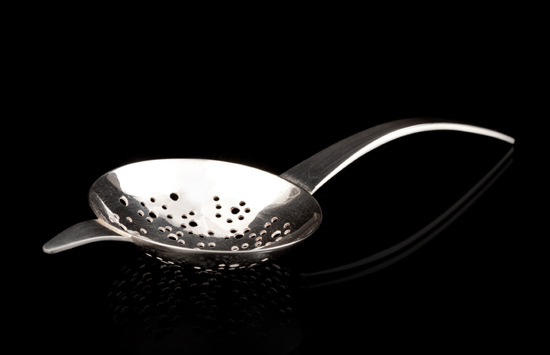 This easy tea strainer is a graceful and functional design for the tea lover. Teapot. 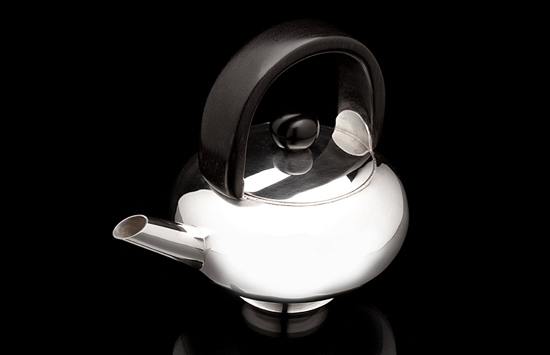 12 cm high A stylish, compact teapot with a 4-cup capacity of your favourite refreshment. 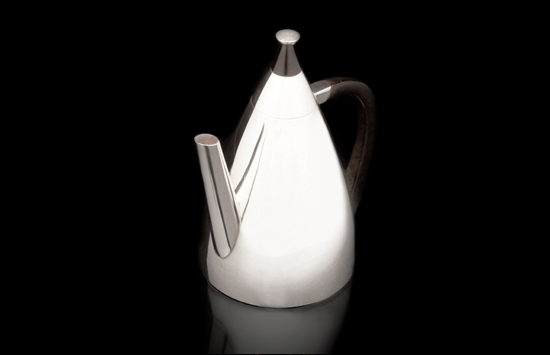 It has a comfortable handle of ethically sourced ebony and neat spout for trouble free pouring. Little pot	14 cm high For tea or coffee, this very stylish little pot is perfect for one or two. 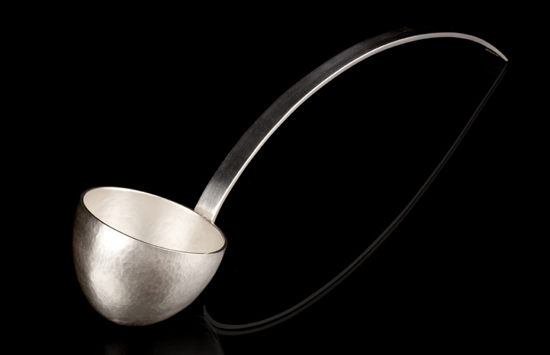 Ladle	30 cm long / 12 inches This deep ladle with its sleek , curved handle is an attractive compliment for the dining table. 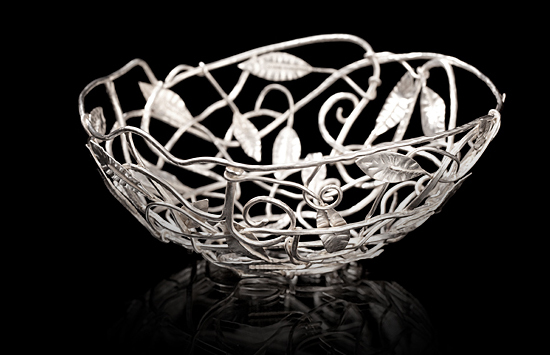 Openwork bowl 15 cm diameter / 6 inches across Intertwined silver leaves and branches formed into a nest-like hemispherical bowl. 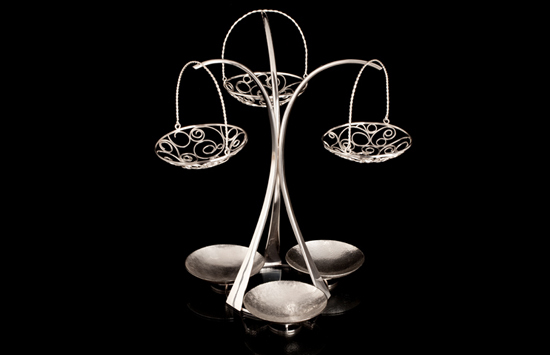 Epergne	30cm high / 12 inches This ornamental table centre piece or ‘epergne’ comprises an elegant central stand with 3 suspended baskets and 3 little serving dishes.